Ace Seeds - Malawi x Panama. Free US delivery. 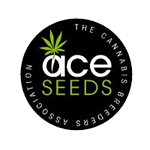 Ace Seeds' Malawi and Panama are two of the most used and valued strains in the whole Ace Seeds' range. This new feminised strain is a 100% F1 sativa hybrid strain with Malawi dominance. The best of Central African and Central American landrace sativa strains meet with a sensational result. Malawi x Panama is a highly vigorous and potent sativa with tremendous yield potential. Resin production is out of this world and the buds very dense. It does not like high levels of nitrogen during the vegetative stage and unlike many sativa strains the stretch during flowering is not overwhelming despite the recommendation to increase the supply of nutrients from low-moderate to high. It will grow very well indoors preferring a system such as SCROG to maximise light penetration and it has a good response to pruning. Flowering will take between 11 - 12 weeks with high yields. Outdoors cultivation to maturity is possible as high as 43 ° of latitude. Harvests will be at the end of October or early November in the northern hemisphere. It shows great resistance to both heat and cold as well as a wide range of pests and powdery mildew. In terms of this strains organoleptic proerties the resinous, oily, spicy and woody aromas of the Malawi dominate supplemented with notes of lemon and incense from the Panamanian genetics. THC levels range from 21 - 26% with very low CBD of 0.2%. The effect is extremely powerful and not for everyone, especially novice sativa smokers/vapers. It is highly cerebral, trippy and cause for considerable introversion and reflection. It is powerful and very long-lasting both physically and mentally.